The battle of Antietam (MD) took place on September 17, 1862. In that one day of fighting, America lost more men in battle in one day than ever before ... or since. 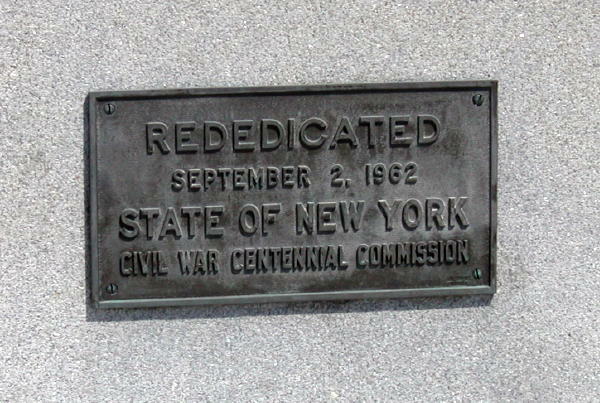 *The New York State Monument is located just north of today's Visitor Center. *One-fourth of the Union army at Antietam was from New York. Costing $30,000, the monument was dedicated September 17, 1920, on the 58th anniversary of the Battle of Antietam. 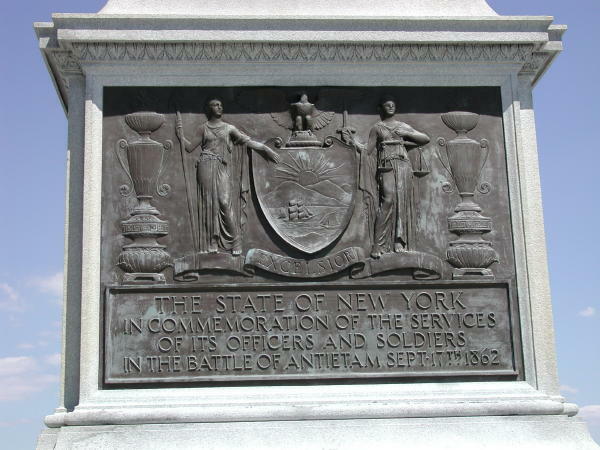 The bronze tablets list the generals from New York who were in command, the New York regiments and batteries at Antietam and the New York State coat of arms. It is the tallest monument on the field, approximately 58 feet high. *To view the magnitude of the losses, consider that Antietam resulted in nine times as many Americans killed or wounded (23,000 soldiers) as took place on June 6, 1944--D-day, the so-called "longest day" of World War II. Also consider that more soldiers were killed and wounded at the Battle of Antietam than the deaths of all Americans in the Revolutionary War, War of 1812, Mexican War, and Spanish-American War combined. *Information taken from the National Park Service Antietam National Battlefield website. 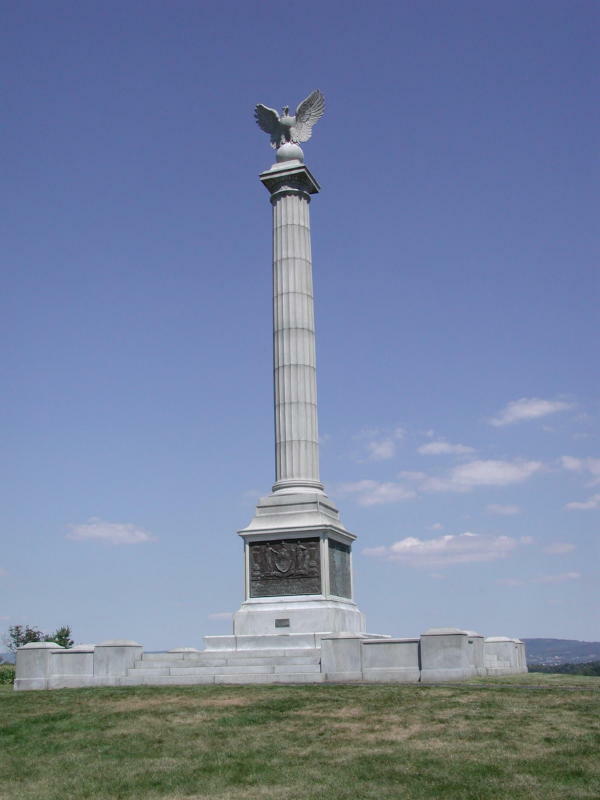 Here is a listing of all New York State Monuments at Antietam. Here is a listing of all New York State Regiments that fought at Antietam.